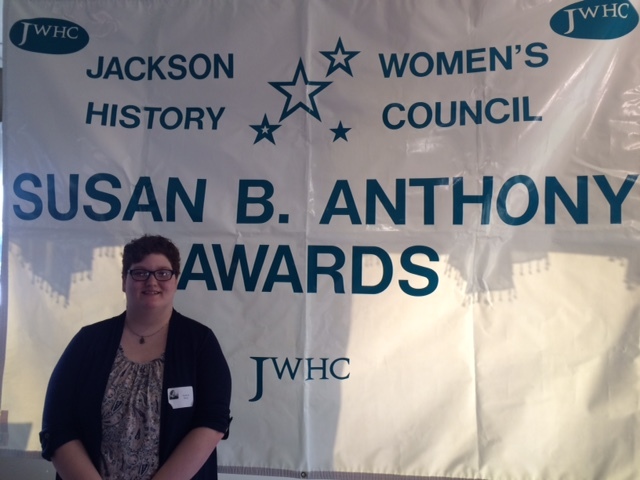 Congratulations to Aryanna Henry she won the 2018 Susan B. Anthony Art Scholarship Award from the Jackson Women’s History Council. She researched the topic of “Who is your Susan B. Anthony?” in Mrs. Job’s 21st Century Communications class. She needed to read three articles then created a drawing that was celebrating Inspirational Women. All the women in the picture where Hanover-Horton Teachers: Mrs. Walbum, Ms. Smith, Mrs. Job and retired teacher, Marge Barden. She attended the Susan B. Anthony dinner on February 25 to explain her art piece to the captive audience filled with many local dignitaries, including the Mayor of Jackson.